For up-to-date testimonials and stories from the Dharavi Slum Tour, Mumbai Tour visit Mohammed on Facebook! I visited Dharavi in the beginning of April this year, and I was completely overwhelmed, by the atmosphere, the people and of course the meeting with Mohammed. He was one of those friendly and smiling faces India remains me of. His way of life could perfectly be describe with the term ‘The Indian Heart’. 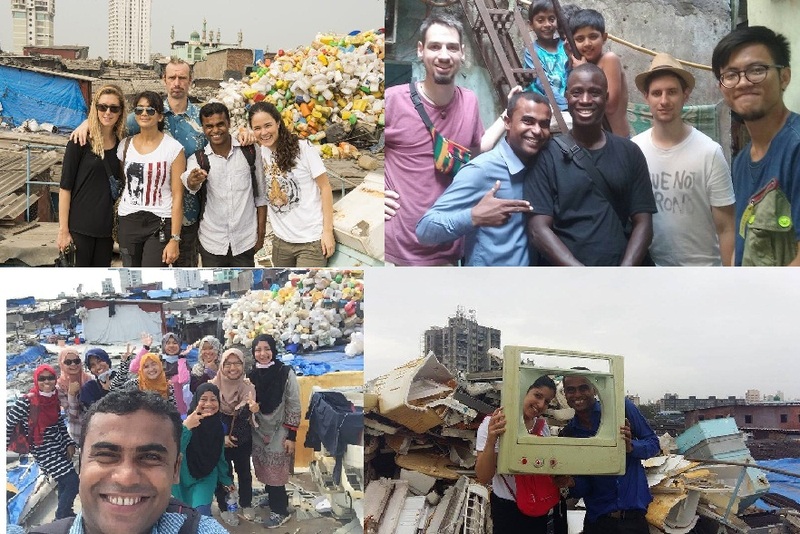 On the exciting tour through the slum we met so many interesting personalities and I am forever thankful for this experience – meeting the locals on close hand, and seeing the real Bombay. I found Mohammad’s info on a Lonely Planet forum online and emailed him based on the good experiences others had posted. The tour was informative, enjoyable, and truly eye-opening.Seeing the way people go about life in Dharavi changed the way I think about the word “slum” and the way I think about a lot of things I once took for granted in life. Mohammad’s very conscientious. You can tell that he tries very hard to give you an informative tour that shows you what you want to see. Wir kommen gerade aus Indien zurück (meine Schwester und ich) und wir haben die Tour mit Mohammed gemacht und können alle guten Berichte über ihn und die Tour nur bestätigen. Es ist sehr interessant, gerade weil er selbst auch in Dharavi lebt und einem deshalb viel Interessantes zeigen kann, was man selbst nicht finden würde.